Whenever someone comes to Las Vegas they face the task of choosing everything for the trip and then getting the reservations taken care of. Many people would prefer an alternative process that would be easier abd less time consuming. An alternative that would to doing all of these things and getting them handled in a sensible efficient way. This is the perfect time for calling a concierge in Las Vegas. Now this may seem obvious once we point it out, but the concierge will understand exactly how to get everything done for you. With the expertise and the experience they have, they can advise and direct us to the many excellent options that exist here. Of course this is very helpful in a city like Las Vegas. The travellers who comehere have many options to consider. A Las Vegas concierge can really make everything easier. Everyone knows that hotels in Las Vegas provide concierge service for guests. Visitors are invited to take advantage of them for almost everything they can think of. And the concierges are willing to think of some too. They can handle everything from dinner to concert tickets. All of this will help guests save time and effort and help them to make the most of their available time in Las Vegas. The concierge will almost never charge for services, with the exception of the cost for whatever you are buying through them. They wont buy your show tickets. You'll have to see the pit boss on the casino floor for that. . There is an issue though if you are trying to get something that the hotel concierge is not prepared to deliver. For example, maybe you need something not offered and beyond their abilities. This is a drawback for some, of using the hotel concierge. They are usually going to want to move you towards those options where hotel has profitable arrangements. Even though they will sometimes suggest other things as well, they want to promote their own selection first. This should not at all be seen as underhanded. This is how they stay employed and in business. The service may be free to you, but somebody has to pay for it. Another to get some unbiased concierge help is to hire an independent Las Vegas concierge. With an independent you give yourself a good chance of recommendations. They are likely not working with specific vendors for tours or limo s. Instead they are likely representing everything Las Vegas has. They want to have the best chance possible of getting your business. 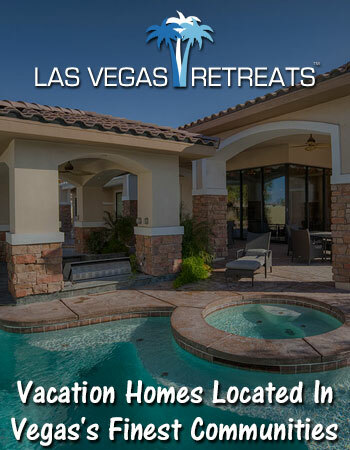 A service like this is useful for visitors who will be lodging in Las Vegas vacation rentals. Vacation renters do not have access to the hotel concierge services. An independent Las Vegas concierge will offer similar services and give the vacation renters an experience much like the hotel guest would expect. HOTiLINK suggests Las Vegas Concierges for anything you might need while visiting. Serving vacation renters and corporate housing visitors for many years, they offer reliable creative and efficient service. Call them when you visit Las Vegas to get the most for your money and make the most of your time. They will arrange your stay as well as anything else you need or want. They can also handle any issues that might come up during your stat. They are experts in group travel and business travel. Should you be an expo or convention exhibitor, they will assist with convention or expo needs you might have.